I often don't talk about my fandom for sports. 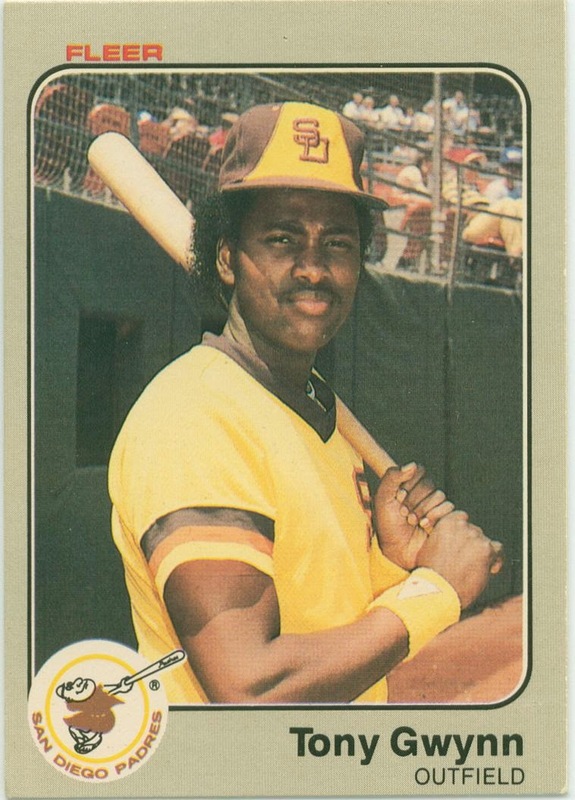 Today we lost Hall of Fame player Tony Gwynn, who lost his battle with cancer. Tony is one my absolute favorite baseball players and one of the reasons why I like baseball in the first place. Tony was one of the few ball players that I would go out of my way for to hunt down baseball cards of. Whenever the Cubs were playing the Padres, I would have to watch or listen every time he came up to bat. It wasn't that Tony was just a great ball player, he was a great guy. I can't think of a time where he didn't have a smile on his face. You never heard about him getting into any trouble. Tony was an exemplary team guy, role model and ambassador to game of baseball. How could anybody who loves baseball not like Tony Gwynn? How do you not get enthralled by his personality and his love for the game? When he went behind the mic, how could you not want to listen to him talk non-stop about baseball? Such a sad loss but I'm glad that he's no longer in pain. My thoughts and prayers go out to his family, friends and fellow fans.